At Lemon Concentrate we are known for producing absolutely the best when it comes to concentrates, purees and comminuted fruits. Our most famous products are made from lemon, orange and clementine but we count with a huge selection of fruit and vegetable products for our customers. Between our range of juice concentrates, you can find our Red Berries Concentrate as a ideal option to elaborate tasty and sweety foods. As one of the global manufacturers and suppliers with the freshest products on the market, we offer flexible solutions to all our customers, including logistics and packaging. 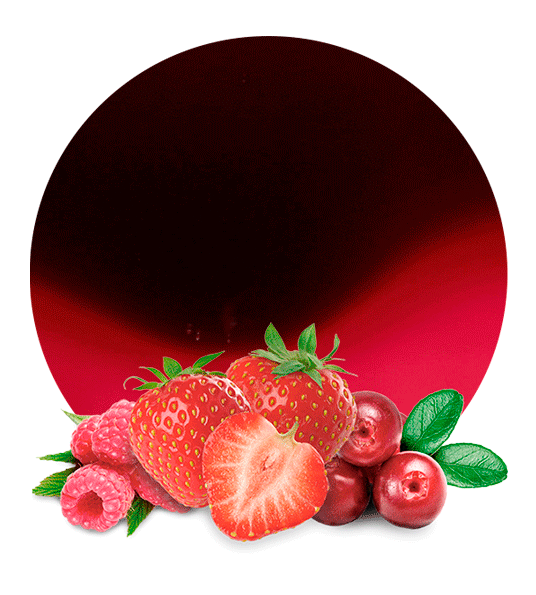 Our Red Berries Concentrate is made from strawberries, cranberries and raspberries. These berries are selected specially from the freshest batch to create high-quality concentrates. The processing is done using the latest technology to ensure all the flavours and aromas are retained. This also helps us produce products that are full of nutrients for our customers to enjoy. To ensure that all our red berries concentrates maintain their natural properties, we only select fresh and healthy berries. Also, they get processed immediately after being harvested. This ensures that our concentrates are of the highest quality and maintain all their desirable properties, including the strong taste, colour and flavour. Strawberries are full of vitamins, antioxidants and fibre. They are also fat, sodium and cholesterol free and among the top 20 fruits to appear in the antioxidant capacity. Apart from their pleasant taste, you will get all the above benefits. Other red berries help in increasing the clarity of mind and fighting diabetes. Due to their low-calorie amount, they also help in weight loss and reduce the risk of cancer. The red berries concentrate can be used in baking, manufacture of soft drinks, jams, syrups, marmalades and dairy products too. As a world-renowned company, we strive to deliver absolutely the best to all suppliers out there. Our task is producing the best products from natural raw materials, packaging them safely and sending them to suppliers who then distribute to retailers. We have a strong working relationship with distributors who rely on our quality products to make a living. It has always been our pleasure to manufacture and supply these products that many people enjoy all over the world.